When my parents returned from their first trip to Ireland, they brought back with them a taste for Jameson Irish Whiskey. 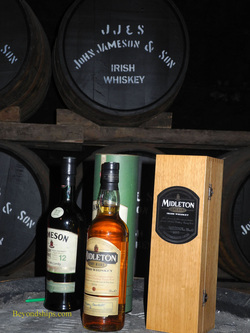 Although there are several different brands of Irish whiskey, Jameson always remained their favorite through their many subsequent trips to Ireland. As a result, Jameson was something of a fixture in our house when I was growing up. I was therefore intrigued to find that a shore excursion was being offered to a Jameson factory during a port call in Cobh. 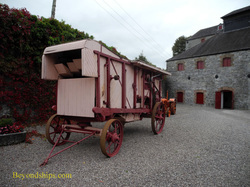 “The Jameson Experience” takes place at the Old Midleton Distillery, a 15 acre site where Irish whiskey was produced from 1825 until 1975. Some of the buildings date from the 1790s. (It was a mill before becoming a distillery). The complex has been nicely restored and turned into a visitor-friendly attraction. The difference between Irish whiskey and Scotch whisky is more than a matter of spelling. There is also a difference in the way the two beverages are made. The main ingredients of Irish whiskey are barley and water. After soaking in water for four days, the barley sprouts and becomes malt. It is then dried out using an anthracite-fueled smokeless kiln. (This is an important difference between Irish whiskey and Scotch whisky. In Scotland, the grain is dried using peat smoke, which gives the final product its distinctive peaty-taste. Irish whiskey gets its taste later in the process). The Wash is then put into a still and heated. This separates the alcohol from the water. Since alcohol boils at a lower temperature than water, the alcohol becomes a gas first. Its the fumes are captured and then condensed back into a liquid. Irish whiskey is so distilled three times resulting in a 160 proof spirit. Triple distilling, a process, which the Jameson people attribute to John Jameson in 1780, is another factor that distinguishes Irish whiskey from Scotch, which is usually only double distilled. Water is added to the spirits reducing it to about 126 proof. It obtains its color and taste while maturing in oak barrels where it interacts with the tannins in the wood. By law, it must be allowed to mature for a minimum of three years. However, Jameson matures its whiskey for five to seven years for standard brands and 12 years or more for its connoisseur brands. The barrels are emptied into a vat where the whiskey is allowed to marry. Its strength is reduced one final time to 80 proof and then bottled. Above: The Wash Tun turning the grist into sugars that can be fermented. Below: Jameson has the largest pot still in the world with a capacity of 32,000 gallons. Above: The coopers would create and maintain barrels from would that was previously used in casks that contained Bourbon, sherry and port. Above: The grain storage building. The black disks on the wall are iron tie bars that gave the building added support when it was full of grain. Below: The waterwheel powered the millstones. It dates from 1852. The building next to it is older, dating from 1794. 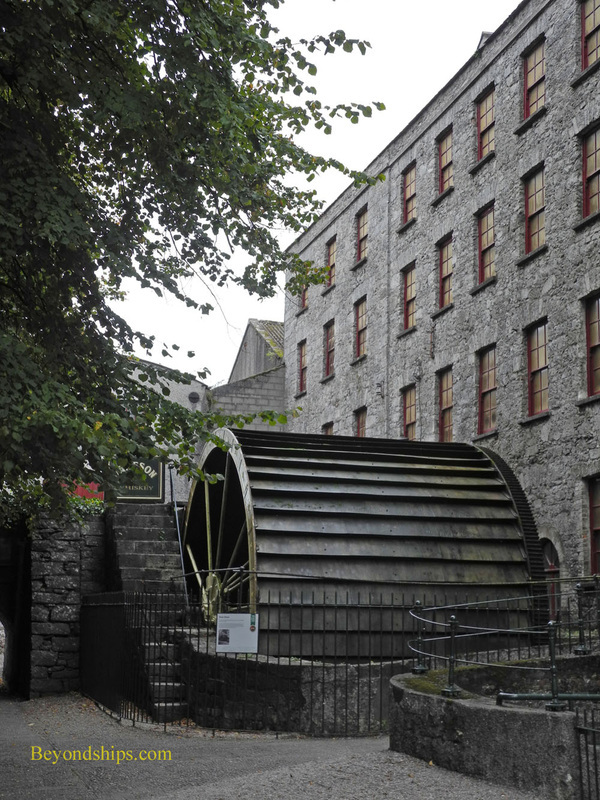 It was originally a woolen mill and then an army barracks before becoming a distillery. The tour of the Jameson distillery begins with an audio and video presentation in a theater just off the entrance lobby. After that, the audience is divided into groups for a guided tour through the restored buildings. It is a quite substantial complex of buildings. You see the courtyard where the farmers brought their grain for sale to the distillery, the grain storage building, the mill where the grain was stored, the kilns, the stills, the cooperage where the barrels were made, and the final vat near the office where the workers were paid. Along the way are vintage trucks and delivery vans, and mannequins dressed in 19th century attire working on various tasks. Above: The 23-room Distiller's Cottage (1825) was home to the Master Distiller. 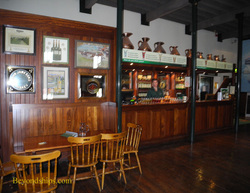 At the conclusion of the tour, the visitors are brought into a pub-like room for a tasting. Each visitor is entitled to a free glass of Jameson. However, selected volunteers may also participate in a tasting contest in which you are given glasses of Jameson, a Scotch and a Kentucky Bourbon. The object is to compare and give an opinion as to which one you prefer. For me, this was no contest. With the first sip I was greeted by the familiar smooth nutty taste. The others were quite good but this was an old friend. I gave my opinion, which seemed to delight the Jameson people. In return, all of the participants received certificates proclaiming us Jameson tasters. In addition to the pub, this part of the complex includes a restaurant and a gift shop. The Jameson Experience is open seven days a week. There is an admission charge. Tickets can be purchased online beforehand from the Jameson website. 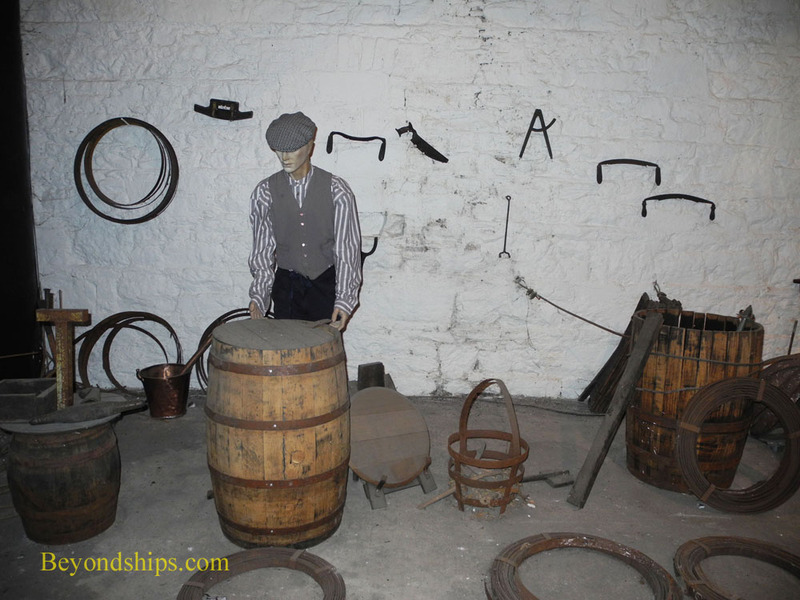 As noted earlier, a visit to the Jameson Experience is often included in the shore excursion offerings during port calls in Cobh. However, it is also possible to get there independently. 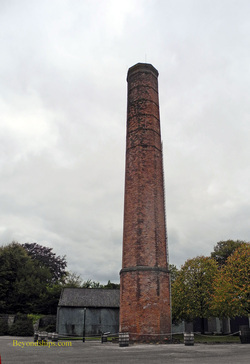 The distillery is located about eight miles east of Cork City. From Cobh, you can take the train to Glounthaune and from there the train to Midleton.